The Dark Brotherhood is a guild of professional assassins with considerable influence and power. It is similar to Morrowind's Morag Tong, but despite a common misconception is a completely separate organization; also, the legality of this organization is much more limited than that of its older cousin. Entry is governed not by completing a given task, but by the Brotherhood observing you committing murder. According to Lucien Lachance, the Dark Brotherhood has sanctuaries all over Cyrodiil, however only one of these is ever accessible to you; the basement of an abandoned house in Cheydinhal. This particular sanctuary was founded more than 200 years ago. The current head of the Cheydinhal "family" is Ocheeva, however new family members are given instructions by Vicente Valtieri. Ocheeva receives instructions from the Speaker, Lucien Lachance, who is also responsible for recruiting new members. Lucien in turn receives his instructions from the Listener. The absolute leader of the Dark Brotherhood is the Night Mother. Murder someone! As you've most likely heard spoken by citizens anywhere in Cyrodiil or the Shivering Isles, the Dark Brotherhood recruits new members by contacting murderers in their sleep. If you want to join and have yet to kill anyone, you must murder an innocent citizen. 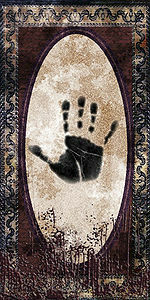 Upon killing a citizen, whether or not you were detected, a message will appear saying, "Your killing has been observed by forces unknown...." The next time you sleep in a "safe location," a message will appear saying, "The air grows chill and a shadow approaches...." You will then be woken by Lucien Lachance, a Speaker of the Dark Brotherhood. He will offer you membership and describe what you must do to be accepted. Note that you cannot just personally see to an NPC's death; you must actually murder them in accordance with the game's crime engine. For example, if you have a poison or enchantment that does damage over time, and it's the poison or enchantment, not the initial attack, that does the final point of health damage, you will not trigger the questline. If you do not wish to level up in the process of joining the Dark Brotherhood, the sleep needed to initiate the quest Through A Nightmare, Darkly will not cause you to level up, but once you cross into the dream world, you will be confronted by Lucien Lachance. When Lucien comes around the first time, kill him after talking to him. He is fairly easy, and his murder removes the initiation quest. You can also loot his Black Hand hood and robe. Killing Lachance is also the only way to drop the Blade of Woe, short of following the Dark Brotherhood questline to completion. Since the quest is marked as "completed," the Blade is no longer considered by the game to be an essential inventory item. After you kill Lucien you will never be able to join the Dark Brotherhood. Captain Renault or Glenroy: just after the start of the game Renault dies a scripted death; you can kill her before the assassins do to claim the kill (you get a bounty but it is removed as you leave the sewers). Near the end of the tutorial Glenroy will become non-essential and you can kill him to initiate the Dark Brotherhood questline without getting a bounty. Agronak gro-Malog: if you do the Origin of the Gray Prince quest, he will not attack you at the end of the Arena questline. Although killing him does not put any bounty on your head, it counts as a murder and you will soon be visited by Lucien Lachance and the Dark Brotherhood questline will begin. Alga respawns, so if you kill her you won't lose a character. She can be most easily killed in Olav's Tap and Tack. Alval Uvani has a rather low responsibility, and since he does a lot of traveling (see the Dark Brotherhood mission A Matter of Honor for details) it's rather easy to dispose of him on the road without witnesses. The benefit of killing Alval is that you will have already completed one of the later Brotherhood missions. The Skooma Den in Bravil has four residents, three with 0 responsibility, so your crime will likely go unreported. Specifically, if you kill Roxanne Brigette, the only resident without 0 responsibility, the other three residents will not report it, nor will they report any future crime committed in the Skooma Den. Arnora Auria: after speaking to Jorundr about killing her, don't speak to her and kill her quickly. You will not acquire a bounty, you will finish a quest, and you will get noticed by the Dark Brotherhood. Camonna Tong Thug: killing one of the two Camonna Tong thugs at Walker Camp will give you no bounty, as they both have low responsibility. If you attack one of them before he attacked you, killing him is counted as a murder, and will allow you to join the Dark Brotherhood. They both respawn in a few days, as well. Mephala's Daedric quest requires you to murder two people and frame them for each others' deaths. Given Mephala's alleged relation to the Dark Brotherhood, this can be a particularly fitting way of gaining the guild's invitation. Umbra is normally killed during Clavicus Vile's quest. However, since you can initiate the quest at any level simply by killing her, this has the dual advantages of giving you a bounty-free murder and allowing you to complete the main quest at level 1. Glarthir can be killed without acquiring a bounty when meeting him behind the church. The quest will be completed stating "I have killed Glarthir". You can murder respawning followers, but this may get you suspended from related guilds. You can kill a non-hostile Adventurer in a dungeon if you encounter one (they have a random chance of appearing in a few dungeons). They're usually fairly easy to defeat since your level will always be two above theirs. In fact, if they appear in a dungeon full of bandits, it's easy to mistake an Adventurer for one of the bandits, especially if the bandits are also Orcs. The earliest place you might meet one — although his appearance is by no means certain — is Dzonot Cave, a cave on City Isle just south of the bridge leading westwards out of the Talos sector. The Adoring Fan from the Arena: if you have already beaten the Arena questline, you can agree to let him follow you then lead him into the wilderness where no one is around and kill him. He respawns in a few days. Two Imperial Legion Foresters can usually be found fighting to the death in the area between Bruma and Applewatch. The winner has low health from the fight and can be killed easily. You will acquire a bounty, but you gain two silver bows, steel arrows, and some pieces of Legion armor. The Dark Brotherhood is not as well accepted as the Morag Tong, a government-sanctioned guild of assassins in Morrowind. In Cyrodiil, even trying to contact the Dark Brotherhood is illegal, not to mention being a part of it. If you are caught in the act of a murder, you are on your own. Whichever way you want to handle your bounty, the Brotherhood will not endanger other agents by helping you — unlike the Thieves Guild, which will help its members pay off their bounties. The only Tenets you have any chance of breaking in the game are the Fourth and Fifth, which prohibit you from stealing from or killing your fellow assassins. There is no way, through conversations or your character's actions, to break the first three Tenets. Saying you're not ready for a contract is not the same as refusing to carry out an order. If your character is good at alchemy, make some good poisons (e.g.Triple Damage Poisons) to apply to weapons. Attack whomever you want to kill to take them down in one strike. This will be an assault so Charm a guard just long enough to talk or yield to him. The Charm spell will ensure he likes you so much that he pays the fine for you. Some members of the Dark Brotherhood will attack on sight with a disposition of less than 30, and retaliation will cause suspension from the faction. Two Dark Brotherhood members can be heard talking about a mission and one can be heard stating how "Antoinetta has been running her mouth off again". This line can be said even if the person saying it is talking to Antoinetta herself, and even after you become the Listener (which is after Antoinetta has been killed already). Esta página foi modificada pela última vez à(s) 03h22min de 21 de janeiro de 2016.